Kit Rae Anathar Sword of the Power(KR0020S) Fantasy swords - Kit Rae swords. In the beginning of things in ages past there were the Ancient Ones, masters of flesh, fire, and steel, who forged the elements of which the land was made. When men and beasts came into the world the Ancient Ones purposed to have dominion over them, hence they commanded that the Dark Elves create the "Swords of the Ancients." They were forged of secret alloys and each sword was bequeathed its own special power. The swords have been used throughout the ages in the eternal struggle between good and evil. 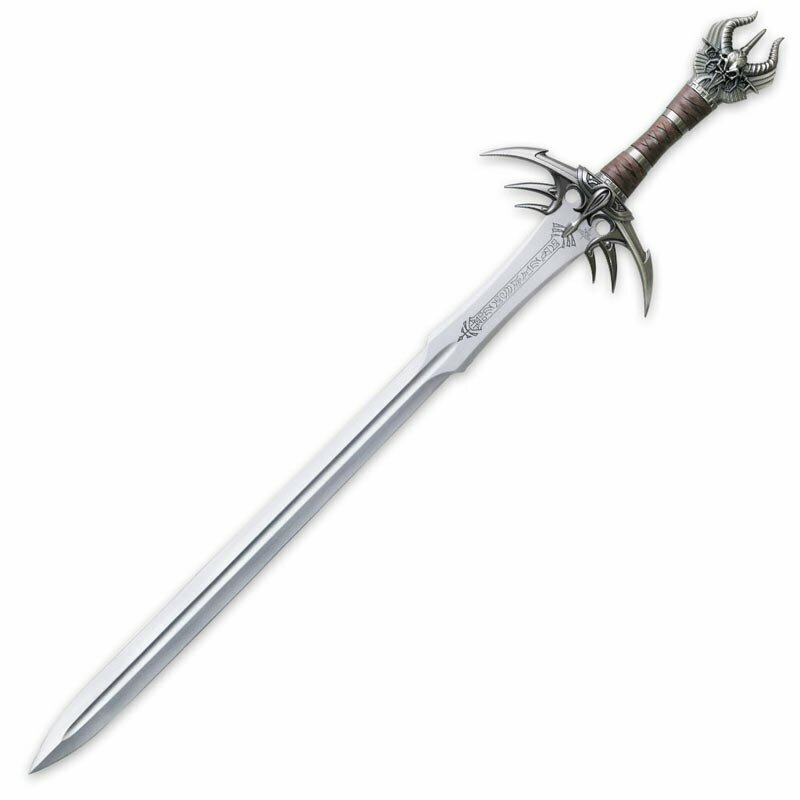 Designed by fantasy artist Kit Rae, these high quality adult collectible swords feature intricately detailed solid metal handle parts and tempered, 420 stainless steel blades (unsharpened). Each sword includes a full-color art print and a new chapter in "The Tale of the Swords of the Ancients."